I've been singing and writing songs since I was a kid. And it's taught me so much. Trained in classical, jazz and contemporary voice, I've been performing and recording professionally from the age of 13. Music has taken me all over the world and has brought me to collaborate with people from all different walks of life. It has pushed me to limits of self-discovery I struggle to put into words. Music creates connection beyond words and action, deep within ourselves and with those around us. For me, singing is expression, communication, passion, control and surrender. It is a form of meditation and self-discovery, where I continue to learn about myself and relate to others. EVERYONE can sing. For some reason, it's a joy we seem to have prescribed to a minority in the West, yet it's one of the most natural and instinctive things humans do! 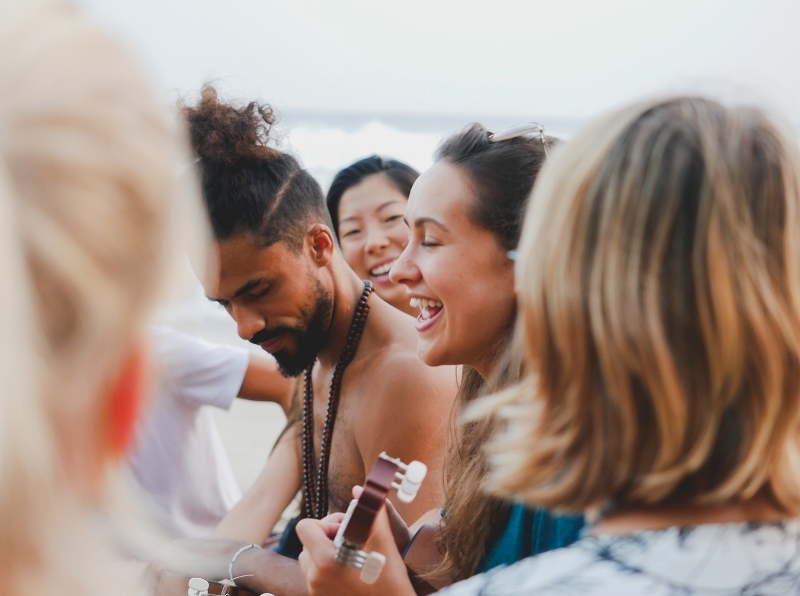 Working with our voices can open us up to new levels of self-expression, self-understanding and unbounded depths of creativity, as well as balance the vital wellbeing of the body and mind. It's my absolute passion to create supportive spaces for people to explore voice work, as I feel it's something we need way more of in this world. I teach one-to-one sessions as well as voice and yoga workshops that offer technical and holistic support to experience the joy of using our own sounds and vibrations.